Sociallyviral theme translations are maintained by the WordPress community. 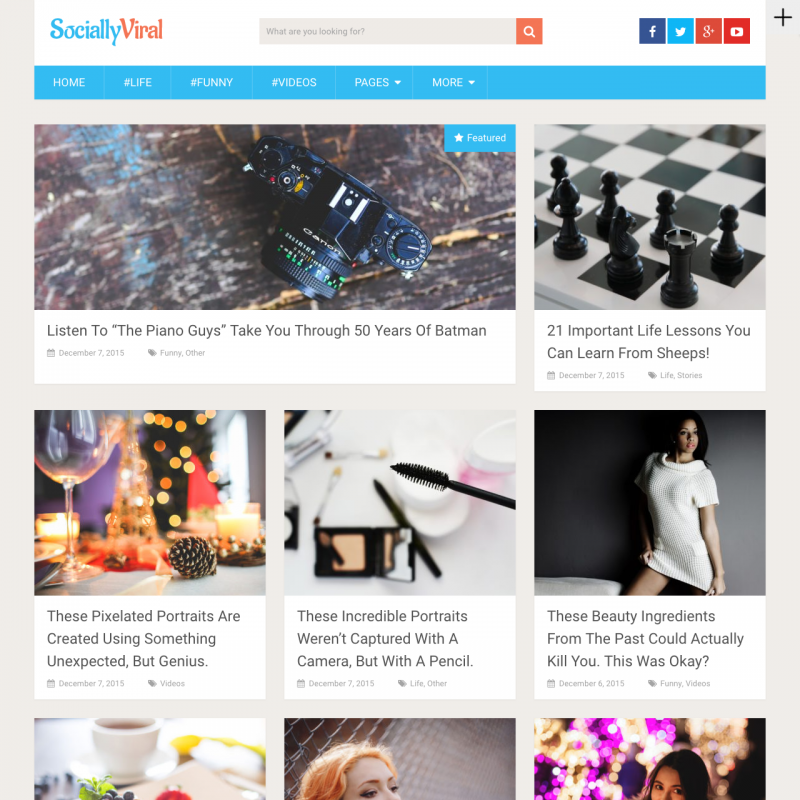 SociallyViral is a free WordPress theme optimized for social shares and connection with social media. You can add a featured post for your homepage to promote the best of your articles. Single post features author bio box, related posts and breadcrumbs. Also you can use custom widgets for recent posts and ads in the right sidebar.